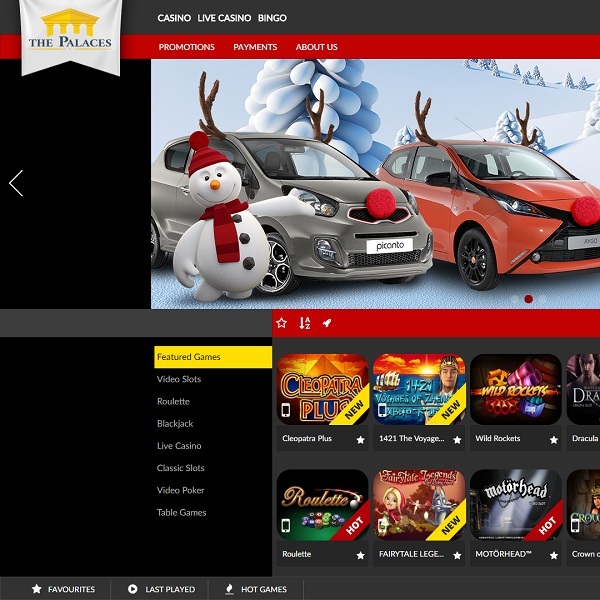 As the name suggests the brand new The Palaces Casino is an online gambling destination fit for royalty thanks to top quality games and promotions. The casino offers games from the best developers such as Net Entertainment, Parlay Games and IGT. Thanks to this visitors will find a vast collection of all manner of casino games. There are all the standard card and table games on offer such as blackjack and roulette as well as live dealer versions, multiple video poker games, bingo games, and arcade games. Of course there is also a large selection of online slots built on a huge number of themes. New members of The Palaces Casino are given a 100% first deposit bonus of up to £250 with 77 free spins. The casino is licensed in the United Kingdom and offers customer support via live chat, telephone and email.